In this article you’ll learn the truth about whether hair loss could be caused by a deficiency in the vitamin B12. Firstly, I’ll explain exactly what this vitamin is and why it’s important for your hair and overall health. Secondly, I’ll show you why and how a deficiency can occur so you’ll know if it’s likely if you’re deficient or not. Finally, you’ll learn what to do to make 100% sure you don’t have a B12 deficiency so you can cross that off your list and see if your hair loss stops, or start looking at other causes. Vitamin B12, also known as cobalamin, is a B-complex vitamin that plays a critical role in most of the body processes (1). It’s found naturally in animal products, such as fish, poultry, eggs, and dairy, and it’s also added to many foods (such as cereals and grains). Perhaps B12’s greatest contribution to the body is its role in cell metabolism (i.e. the set of chemical reactions that maintain life). This function of cobalamin occurs throughout the body – even within the hair follicle – and is necessary for the basic functioning of cells. This B-complex vitamin is a cofactor (i.e. a required part of a chemical process) in DNA synthesis (1). It also assists in the metabolism of both fatty acids and amino acids, and plays a major part in myelin synthesis (which is necessary for nervous system functioning) (2, 3). Last, but not least, it contributes to the maturation of red blood cells within the bone marrow (4). But what about its role in hair? B12 and Hair Growth: A Link? There’s no doubt that all of the processes mentioned above contribute to the health of the scalp and hair. However, researchers have also discovered a direct link between B12 and hair growth. In 2011, researchers from Moser Medical Group in Austria asked themselves: “Is there a way to reduce – or even stop – posttransplant effluvium in patients who undergo micrograft hair transplants?” (5). The question came about due to the period of reduced hair growth that patients experience immediately following a micrograft transplant. This occurs due to induction of telogen phase in transplanted hair follicles. So the question becomes, can B12 stop the transition to telogen phase? To answer this, researchers retrieved hair follicles from the occipital region of patients undergoing hair restoration surgery. The follicles were cultured for 5 days in a standard substrate, along with vitamin B12 at either 2.5 µg/ml or 25 µg/ml. To determine efficacy, the researchers used two measures: the percent change of Hair Shaft Elongation (HSE), and Real time RT—polymerase chain reaction (which indicates induction of the Wnt pathway). 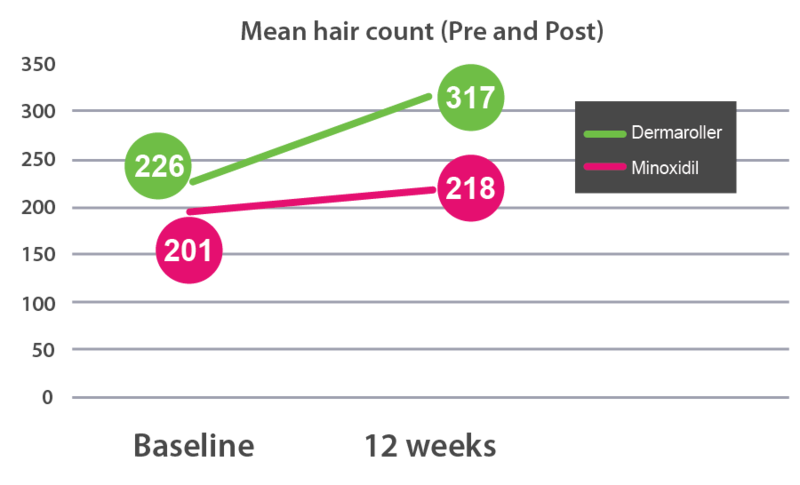 In terms of HSE, hair follicles that were exposed to vitamin B12 showed a significant percent change between days 0 and 5. This was true for both the 2.5 and 25 µg/ml concentrations. But what does all of this mean for hair growth? In terms of hair shaft elongation, this occurs as a result of anagen phase hair growth. Its presence in hair follicles that were cultured in B12 shows that this vitamin does at least slow the transition from anagen to catagen phase. As for the Wnt pathway, that’s a big more complicated. In short, the Wnt signaling pathway is a group of protein pathways that pass signals along to cells. They do this by connecting to the Frizzled (Fz) family receptor, which then sends a message to Dishevveled (Dsh) protein within the cell. This process can induce numerous cell responses, but the one that hair loss sufferers should be concerned with is gene transcription. The endogenous dermal progenitor cells are induced to differentiate into a hair bulge, leading to the formation of new hair follicles. 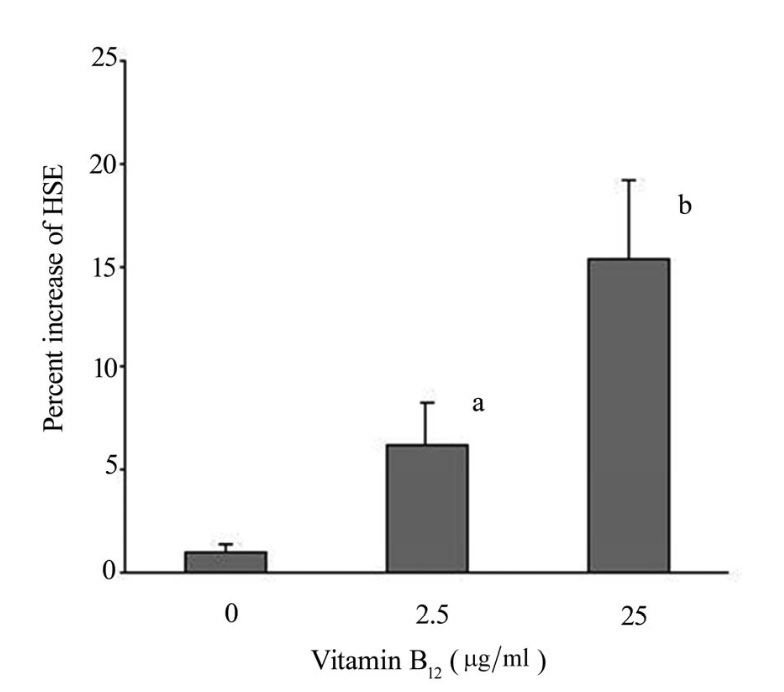 The results of this study show that vitamin B12 activates Wnt signaling within hair follicle cells, which leads to the above mentioned results. B12 Deficiency: A Cause of Hair Loss? If B12 has been shown to be helpful in activating the Wnt signaling pathway, it makes sense that a deficiency could lead to hair loss. The major reason is that, even if other substances can activate the Wnt pathway, B12 is crucial in cell replication and DNA synthesis (1). Without its presence, cells throughout the body would struggle to replicate. Within the hair follicle, this would mean stunted hair growth. In addition, it’s needed in the development and maturation of red blood cells (4). If you’re deficient in this vitamin, you may experience a specific type of anemia (pernicious). 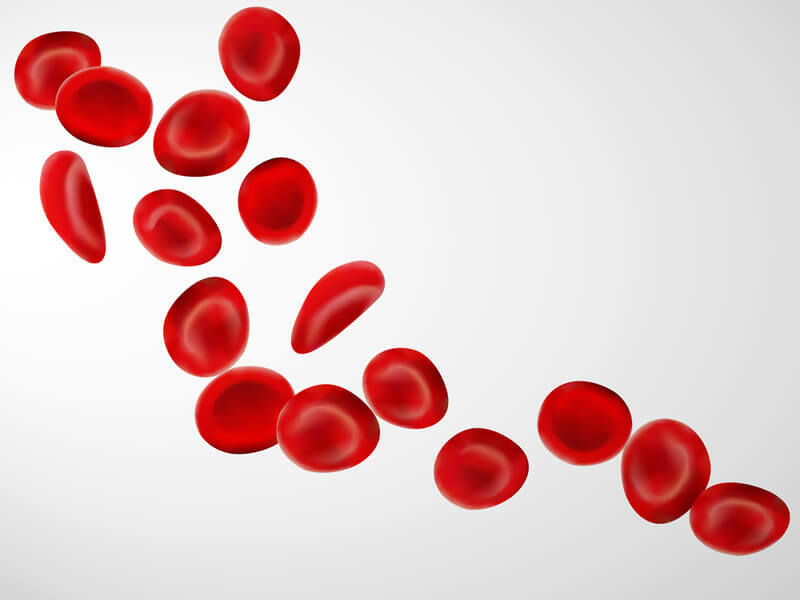 Red blood cells deliver oxygen throughout the body, so a lack of them means less oxygen will be delivered to the scalp. As with any other organ, poor oxygen levels can cause the hair follicle to become weak and, eventually, die. To summarize: yes, it’s absolutely possible for a deficiency in B12 to contribute to hair loss. If you’re concerned about meeting your nutritional needs, it’s important to know which symptoms to look for. This is especially true for B12, as a prolonged deficiency of this crucial B vitamin can lead to irreversible damage to the nervous system. You may also experience numbness and tingling of the extremities (hands and feet), but this may only occur in the later stages of a deficiency. If you experience any of the above symptoms, speak with your doctor immediately. The majority of individuals receive adequate amounts of vitamin B12 in their diets. The exceptions to this are the elderly, vegans, and ovo-lacto vegetarians (8). Whatever the cause, it’s important to seek out medical attention if you suspect B12 deficiency. If you suspect a deficiency, or if it’s been confirmed by a blood test, it’s important to begin treatment immediately. There are only two ways to treat B12 deficiency: by increasing your intake of B12-rich foods, and by adding a B12-containing supplement to your daily routine. Vegans or vegetarians may particularly struggle to reach their daily requirement of B12. In this case, a supplement is highly recommended. Is It Possible to Overdose on B12? This vitamin, along with other B-complex vitamins, is water soluble. Simply stated, it’s impossible to take too much of this, or any other B-complex (either naturally, or through supplements) because any excess amounts will be dissolved and excreted through the urine. As such, you don’t have to worry about overdosing on B12. If you’ve suffered from hair loss as a result of this vitamin deficiency, you may be anxious to regrow your hair. The first step will require proper intake of B12, both naturally (in your diet) and via dietary supplements. However, you can also stimulate the hair growth process by following the tips below. As I’ve mentioned above, hair loss brought on by B12 deficiency can occur on multiple fronts. For example, oxygen deprivation to the hair follicle. To correct this, then, you’ll need to increase blood flow to the scalp. How can you do this? With scalp massage and exercises! This was proven in a 2016 study, which showed that massage can increase hair thickness by inducing stretching forces to Dermal Papilla Cells (DPCs) (9). Using your thumb, middle, and index fingers, place each hand on either side of your head (above your ears). Move your fingers in a circular motion while gently applying pressure to the scalp. As you massage the sides of your head, slowly move your hands up and towards the crown. You’ll move similarly towards the hairline and temples, and finally to the base of the scalp. You can backtrack to previously massaged areas of the scalp as you go along. This will ensure each area has gotten adequate attention, and it’s also quite relaxing. I recommend performing this for at least 10 minutes per day. These are similar to scalp massage, in that it stimulates blood flow and reduces tension. However, you’ll be using your facial muscles instead of your fingers. If you’d like to give your scalp more of a ‘workout’, you can use your fingers to gently manipulate the skin. Here’s how. Place your thumb and index fingers anywhere on your scalp. Slowly pull your fingers apart (without lifting them), and then slowly pinch your fingers together. You can hold the motions for however long you’d like, and then continue the exercise on different parts of the scalp. If you’re looking to further increase blood flow to the scalp – which is beneficial for the hair follicles and hair growth – then you’ll certainly want to consider microneedling. This is a therapeutic technique that uses microneedles to wound the scalp, which then leads to regeneration. Does this seem counterintuitive? Well, there’s actually evidence that it can be effective in promoting hair growth. The members of the minoxidil + microneedling group saw significant increases in hair count when compared to the minoxidil-only group. An increase in blood circulation to the scalp is one major reason. This enables improved delivery of oxygen and nutrients to the follicles, which can then be used in the cycling of the hair growth process. Another study – performed in 2016 – found that additional factors may be at play (11). For example, it was shown that activation of the Wnt/β-catenin signaling pathway took place in mice receiving microneedling therapy. This pathway is important for the initiation of hair development, but also for hair follicle regeneration (12, 13). You have three tool options when it comes to microneedling at home: the dermaroller, the dermastamp, and the dermapen. The dermaroller is perhaps the most well-known tool, and it’s even utilized by most scientists in their research (such as the studies mentioned above). Though if you choose this tool, one thing to be aware of is increased risk of damage. The dermaroller is a tool that contains microneedles placed on a rolling pin. You roll the pin over the scalp, and the needles puncture as you move along. If not careful, this can dislodge nearby hairs, and it may even penetrate too deeply. This is why I much prefer – and highly recommend – the dermastamp. This tool uses needles placed on a stationary, rectangular block at the end of a handle. You place it against your scalp and press down lightly to initiate the process. Whichever tool you choose, just keep one thing in mind: the process is never meant to be painful. You may experience a bit of discomfort – such as tingling or pressure – but you should never experience actual pain. If you do, this means the needle size is too large or you’re applying too much pressure. Now, onto the actual procedure. To begin, I recommend cleaning the scalp. To do this, I suggest a salicylic acid peel which will remove any layer of build up that’s present. Now, with a sterile microneedling tool, apply it to the area of hair thinning or loss and apply pressure. Remember, just enough to penetrate the scalp but not to cause pain. With a roller, roll over the area in different directions (horizontal, vertical, and diagonal) four to five times. If using the stamp, simply place the tool in different directions upon each pressing. Repeat this on all areas of hair loss, and then clean the tool (using an antibacterial wash and boiling water) for next week’s use. This procedure is commonly done about once per week. The minimum length between sessions I would recommend (and use myself) is once per five days. This will give your scalp enough time to heal. 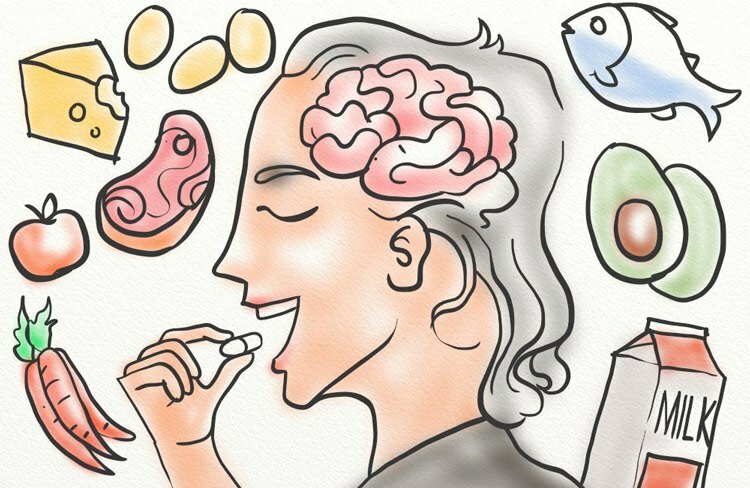 If you’ve introduced the B12-rich foods mentioned above, you may think you’ll be on your way to hair regrowth in no time. Unfortunately, this isn’t entirely true. There are various vitamins and nutrients that play a role in hair growth, and a lack of any one of them in your diet can contribute to hair loss. But even further, diet is more than just the nutrients we gain from foods. The foods we eat also have a greater impact on overall health, including blood alkalinity and even the presence of inflammation within the body (14, 15). What do these have to do with hair health? First, let’s discuss alkalinity and acidity. The foods we eat leave behind an ash within the body once metabolized, and this ash is either alkaline or acidic. The foods themselves will determine the pH value of the ash. But why does this matter? In cases of pattern balding, an acidic environment provides 5AR (an enzyme) with the ability to function optimally. This is bad news for men and women with AGA, because this will result in the production of DHT (the androgen believed to be largely responsible for pattern hair loss) (16). This is why those with AGA, or those who are susceptible to it, should eat an alkaline diet. But what if you aren’t suffering from pattern hair loss? Well, let’s consider inflammation. Inflammation is a natural response of the immune system to injury, illness, or foreign invasion (such as by viruses or bacteria) (17). It can occur acutely (short term) or chronically (long term). While you may feel fine, the foods you eat have a chance of causing inflammation within the body. This will depend on various factors, including food sensitivities and genetics (18). But either way, the presence of inflammation is no good for your body (or hair growth). So, what can you do to fight back? 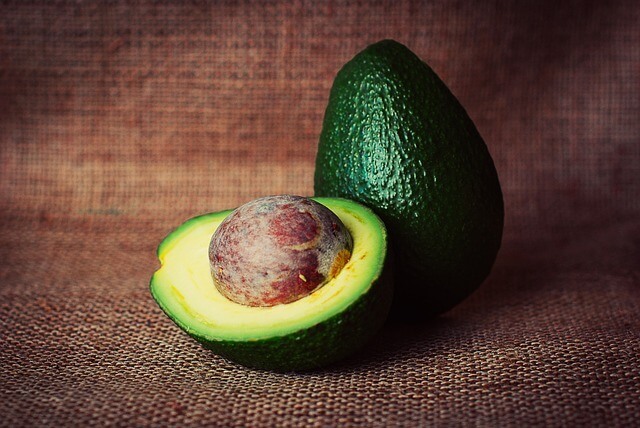 You can increase your intake of healthy fats and colorful vegetables, and remove allergens from your diet. If inflammation was a problem, then, you may see an improvement in your general health which will benefit your hair. Hair loss occurs for a number of reasons, and deficiencies as a cause are rare, but there are certainly diet changes you can try that will make an overall difference to your hair health. DHT is well known as the hormone that plays the biggest role in pattern baldness because it causes hair follicle miniaturization (16). This is essentially a lack of blood supply to the follicle that stops it growing. If you are already deficient in nutrients or minerals needed to grow hair then the hair follicle miniaturization process will be made worse by this, possibly leading to an increased rate of thinning and receding. Luckily there are natural and holistic ways to decrease DHT sensitivity so that it won’t cause the hair to fall out anymore. There are also ways to improve your diet in such a way that deficiencies, whether in macronutrients or vitamins, are no longer a problem. I am man in his early 30s suffering from hair loss. What blood tests do you recommend I take to find out the possible cause/s? It’s best to ask your doctor to run a CBC, basic and comprehensive metabolic, thyroid, and B12. Your doctor may also have a few suggestions, or refer you out to a dermatologist for more in-depth testing. Vitamin B12 can be overdosed! Unlike the other B vitamins, it is stored in the liver for years. Overdoses of vitamin B12 can cause acne.